A delegation comprising 110 Indian companies to visit INNOPROM. Nirmala Sitharaman, Indian Minister for Commerce & Industry, is leading a delegation comprising 110 Indian companies, three state Chief Ministers and senior officials to Yekaterinburg for INNOPROM, Russia’s largest annual international industrial trade fair, at which India is a partner country this year. Looking to strengthen bilateral trade and fast track investment opportunities, India’s Commerce Minister Nirmala Sitharaman is heading a large delegation comprising 110 companies for INNOPROM-2016. 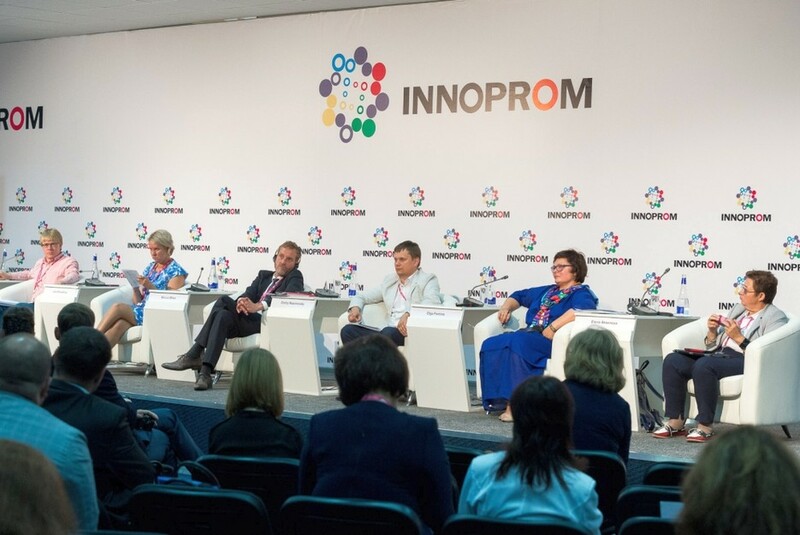 India is the partner country this year at INNOPROM, Russia’s the largest annual international industrial trade fair, organised to showcase engineering innovations from across the world. The fair begins on July 10th in the city of Yekaterinburg. With “Industrial Net” being the lead theme for the exhibition, the 4-day event aims to bring together all important components to improve efficacy under one roof. Sitharaman, Minister of State (Independent Charge) for Commerce & Industry, is leading the delegation of over 110 Indian companies to showcase India’s engineering prowess at the Russian engineering and technology event under the ‘Brand India Engineering’ campaign. The Indian participation is being organised by the Engineering Exports Promotion Council (EEPC) India, with branding support from the India Brand Equity Foundation (IBEF). Leaders of India and Russia have set a goal of boosting bilateral trade to US$ 30 billion and mutual investment to US$ 15 billion by 2025. Apart from large, medium and small Indian companies participating in the event, states (regions) like Maharashtra, Gujarat, Jharkhand, Rajasthan, Himachal Pradesh and Andhra Pradesh are also showcasing their strengths at INNOPROM. Devendra Fadnavis, Chief Minister of Maharashtra, N Chandrababu Naidu, Chief Minister of Andhra Pradesh, and Vasundhara Raje, Chief Minister of Rajasthan, are leading their respective state delegations. In addition, officials from the Department of Heavy Industries, Department of Electronics and Information Technology, Ministry of Power, Ministry of Tourism, Ministry of New and Renewable Energy, National Institute of Design and Bureau of Indian Standards will also form part of the official delegation. The strong India participation is expected to highlight the strengths of India within the area of engineering and innovation at INNOPROM-2016. Before embarking on her visit Sitharaman said, “Historically, Russia and India have enjoyed long-standing cultural and strategic ties. India’s partnership at INNOPROM provides a significant opportunity to sustain, expand and further develop the privileged strategic partnership between the two countries. Besides, the collaboration is in line with Prime Minister’s vision of making India a global destination for high-end engineering and reliable & quality products. INNOPROM‘16 will also offer India a platform to showcase “BRAND INDIA ENGINEERING” and “MAKE IN INDIA”,” she said.